Though now in its 64th year, the Cannes festival is expected to be full of surprises and novelties this year. The best of cinema will be parading on the red carpet in front of the Grand Théâtre Lumière, but if the 2011's ceremony is so eagerly anticipated, it is due to the brilliant list of films in competition, as well as the grandiloquent names that constitute the jury. As there is an impressive number of films to be screened, of actors to be stared at, and of information to be known, you may be a bit lost among all these things about the Cannes Festival. Here is are the key points to know about this year's event, held between the 11th and the 22nd May. Amongst the short-listed films, there are some big names such asTerrence Malick, with his long-awaited Tree of Life, starring Brad Pitt and Sean Penn ; Pedro Almodovar, with The Skin I Live In (trailer below) – a horror thriller based on Thierry Jonque’s 2005 crime novel; two-time Palme d’Or winners the Dardenne brothers, with Boy With A Bike; and Paolo Sorrentino’s This Must be the Place. But the main surprise will be French director Michel Hazanavicius's new silent feature film The Artist. Starring Jean Dujardin and John Goodmann, it was added a few weeks ago to the competition lineup. How will the demanding cinema connoisseurs at Cannes react to this silent, black-and-white film about the demise of a silent star’s career during the arrival of sound? Our feeling is that this screening will be one of the highlights of the festival. Mélanie Laurent is the glamorous hostess at the opening and closing ceremonies. The 28 year-old French actress, who played in Quentin Tarantino's Inglorious Basterds and in Radu Mihaileanu's Le Concert, is really making the news this year as she also began a singing career by releasing her first album En t'attendant. 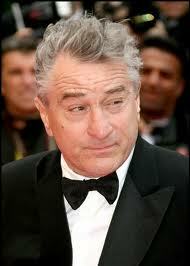 It will be interesting to see how the personality of this year's president of the jury, Robert de Niro, will influence the jury's choices. The American actor, who played in two Palme d'Or-winning films (Taxi Driver in 1976 and Mission in 1986), will head an awesome jury, which includes among others, Carlos's director Olivier Assayas, and world famous actors Jude Law and Uma Thurman. In the other competitions, French film maker Michel Gondry will head the jury for the short film competition, while South Korean film director Bong Joon-ho has been announced as the President of the jury for the Caméra d'Or prize, which is awarded to the best first-time filmmaker. Lastly, two-time winner of the Palme d'or Serbian director Emir Kusturica is coming back to Cannes to preside over the jury for the Un Certain Regard section of the festival competition. No doubt it will give some very distinguishable results. Other big events will be the première of the opening film Midnight in Paris, directed by Woody Allen, starring France's first lady Carla Bruni. The première of Pirates of the Caribbean: On Stranger Tides, with Johnny Depp and Penelope Cruz, but without Keira Knightley (nothing will ever be the same again), is scheduled on 14th May. Last but not least : la Conquête, Xavier Durringer's latest film relating Nicolas Sarkozy's rise to power in the five years before his election as President of France in 2007, will also be screened. 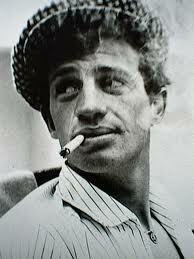 Tribute will be paid to Jean-Paul Belmondo for his remarkable body of work. This unbelievably popular French actor, a figurehead of the Nouvelle Vague after his iconic performance in "Breathless", will be honoured on 17th May, as a documentary about his life, “Belmondo, itinéraire d’un acteur gâté”, will be broadcast on French TV and in La Croisette. This year will be the first year that an honorary Palme d'Or award will be presented at the Festival's opening ceremony. Italian film director and screenwriter, Bernardo Bertolucci, whose films include The Conformist, Last Tango in Paris, and the Dreamers will be the first recipient. Lastly, after a 7-year absence, Tunisian cinema will be back in the competition with the film “Plus jamais peur” (No more fear), about the Jasmine Revolution, directed by Mourad Ben Cheikh. Cinémoi which is Free on Sky 343, on Virgin 445 from 13-15th May and on www.cinemoi.tv will cover the festival. It starts with a programme with Jonathan Ross talking about the Best Moments in Cannes on Wednesday 11th May at 8.30pm http://www.cinemoi.tv/movie/cannes-moments-jonathan-ross. Then a number of programmes will provide you with information about Cannes 2011 http://www.cinemoi.tv/movie/jonathan-ross-presents-cannes-1 : Thursday 12th May at 8.30pm (Free on Sky), Saturday 14th May at 8.30pm (Free on Sky 343 and Virgin 445), Monday 16th May at 8.30pm (Free on Sky), Wednesday 18th May at 8.30pm (Free on Sky), Friday 20th May at 8.30pm (Free on Sky), Sunday 22nd May at 8.30pm (Free on Sky), and Tuesday 24th May at 8.30pm (Free on Sky). Hi guys In my opinion this is a great post I'll definitely continue reading through your works, well done. It is crucial to possess quality contents on the web, we are able to rely on them like a dependable source for our projects.I have see clearly with enjoyment and Im sure I'm going to study all the other things you may create, great work guy!.